Casey exudes energy, positivity, and knowledge in all her activities as a real estate agent and is one of the youngest franchise owners in the industry. With her ‘can do’ mind set and an unbridled passion for connecting people with property, whether residential or commercial, Casey produces exceptional results for her clientele and team. Casey is a multiple award winning agent and very well renowned in the industry, which is indicative of her dedication to her clients and the industry. 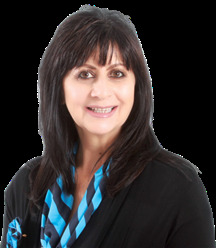 Charmaine has a longstanding career in real estate, having been a Sales Agent, a Sales & Training Manager and Franchise Owner. Always ready to roll up her sleeves and achieve great results with passion, enthusiasm and high levels of professionalism and is committed to service excellence. As a young girl, Charmaine adopted a creed that she continues to live by, daily, "he who walks in integrity, walks securely." 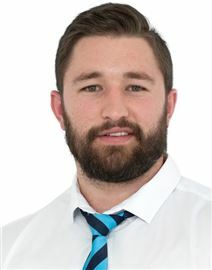 Born in Durban and raised in Pietermaritzburg, Cameron Day has an innate understanding of the Midlands area and how the right home plays an incredibly vital role. He understands that each person’s lifestyle creates unique requirements and he strives to ensure that these individual needs are addressed. Cameron/s emphasis is in serving buyers, sellers and investors. His unparalleled combination of integrity, local expertise and resourcefulness have made Cameron a leading agent in the Midlands real estate markets. Cameron is a Top Producing Agent and has continuously exceeded his client’s expectations in their buying and selling process. With experience in sale, management and especially marketing, which provided him with an extensive understanding of property values, analytics as well as honed negotiation skills. Making every purchase or sale an easy, seamless experience. Cameron recently undertook to move his extensive marketing strategy towards a video marketing format and now with each and ever listing offers a full complement of video tours and walkthroughs, this sets him apart from all the other agents in the area. Make sure you see his YouTube channel to get an idea of how this could affect the sale of your property and attract those buyers Cameron also has his community on his mind and is actively involved with local governance and is a provincial member of the Round Table Organisation assisting the local community with all charitable causes along with his local Hilton 242 Round Table members. Gaby von Blerk Started in property in the early 80's. She wrote her Estate Agents exam and formed a company called South Coast Holiday Letting. She sold her business when she moved to the big city of Durban. She established a Cape Town based company in Durban which she grew from a one man show to a staff complement of 27 in a space of 26 years. (Marine Electronics Industry) In 2016 she Semi-Retired and formed a company namely The Body Beautiful House (Cosmeceutical Industry) Her passion and enthusiasm for property was still strong. She met Charmaine Powell the Owner of the Franchise Harcourts Synergy and committed to joining the team. Her motto is ..... Do what you love doing. Jock has spent his whole life listening to his mother’s amazing stories about her life as a real estate agent and he has been waiting for just the right time to start his career in real estate, and which better agency than Harcourts. Although Jock has just finished High School and is still very young, I believe he will find his feet very quickly and take Harcourts to a new level in the future. Jock attended George Campbell Technical High School which he was Head Perfect in his final year along with the 1st team rugby captain so he is no stranger to hard work. Jock started his working life in January at Grindrod International which he had to face many changes such as working night shift and early working shifts. He then had to resign at a later stage due to making the Sharks u19 squad where he trained 3 times a day and had no time to carry out a full time job, this was when Michelle approached Jock offering to take him as a rental Agent and slowly learn this ins and outs of the industry. Although Jock’s love for rugby will forever be in his blood, he has found a new love for business and he strives to please people which makes him perfect for the job. 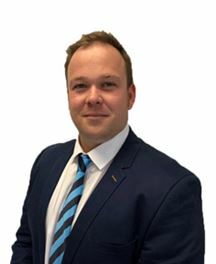 Lawrence is an experienced residential sales agent and has always been well received by his clients. Lawrence is dedicated and committed to high levels of service and care and considers the motto “the eleventh mile is never crowded” in every aspect of his business. Albeit Lawrence has achieved Bcom Marketing Management Degree, he has found his passion in real estate. 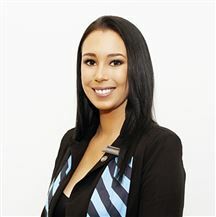 Lyndsay is a full status agent who has been in the industry for over a decade - a plethora of experience mixed with passion and excitement for connecting people and property. Lyndsay is a top performing agent who is well equipped to assist in all your property needs, be they commercial or residential sales and letting. I have recently joined the vibrant and passionate team at Harcourts Synergy as a Real Estate Agent. Our team offers the following services: •	Residential sales •	Residential rentals and management •	Commercial / Industrial sales •	Commercial / Industrial rentals and management While I am new to this profession, I have varied skills and experience gleaned from many years in the Banking sector including but not limited to: •	Management •	Financial Management including retirement planning and investment •	Risk Management •	Coaching and Development I’m very excited about this new venture and will appreciate your support in all property related matters. 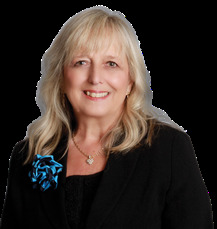 Delivering a high level of professionalism and client service, Tracy is well organized and a hard working agent who is dedicated to her career in real estate. Her attention to detail and commitment to her clients are undisputed. Tracy is a long standing member of the Durban North community having lived in the area for nearly 30 years. Her children have all been raised and educated in the area and she has been active in the community throughout her tenure in the Northern Suburbs. 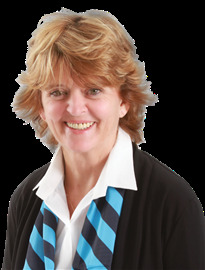 Bev Foley has been in the finance and property industry in sales and marketing for the past 30 years. 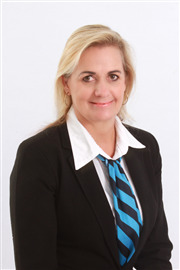 Bev was a Stannic Account Manager for Standard Bank's Corporate Banking Division and became an independent finance broker in 2002, specialising in asset and property finance including commercial, developments and residential property. As an entrepreneur for 15 years Bev aimed to provide awesome service to her clients and offer a one stop shop solution for their financial requirements via her company Integrated Financial Services. 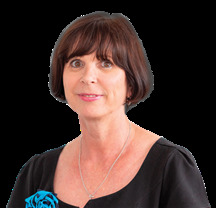 Bev joined Harcourts Synergy in 2018 which seemed a natural progression to enter the property industry as an agent using experience and knowledge gained over the years. Lock up & go with Sea Views! On the Edge of the Sea!